Lan Na, or "Kingdom of Million Rice Fields," existed in what is now northern Thailand from 1292 to 1775. 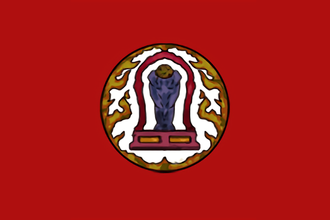 The kingdom was established by the legendary monarch Mangrai who united the various city-states and principalities of the region into one realm. He established the city of Chiang Mai, which became the capital of Lan Na for the entirety of its existence. In 1444, it borders Hsenwi to the North, Ayutthaya and Sukhothai to the South, Taungu and Pegu to the East, and Lan Xang to the West. Have a good strategy for Lan Na? This page was last edited on 20 April 2018, at 17:52.